This Place of Worship was founded in 1858, though it is now closed, but we don't yet know when, and the premises are now in secular use. This building has a plaque above its entrance describing it as a Bible Christian Chapel, built in 1858 by S. Lawrence, Builder. The Bible Christians were formed in 1815 as a secession from the Wesleyan Methodists. In 1907 they merged with the United Methodist Free Church and the Methodist New Connexion to form the United Methodist Church. It is not known when the chapel closed; however today it is in private ownership. Lowbands Bible Chapel, Redmarley d'Abitot shown on a Google Map. Places of Worship in Redmarley d'Abitot shown on a Google Map. Information last updated on 5 Jun 2011 at 13:20. 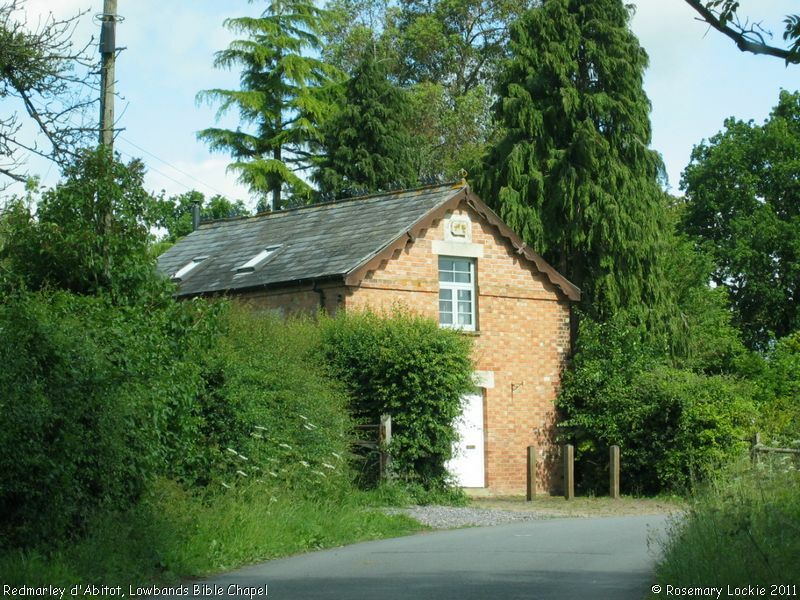 Please also remember that the former Lowbands Bible Chapel is understood to be in secular use, so care should be taken to preserve the privacy of its occupants. This Report was created 27 Mar 2019 - 10:39:15 GMT from information held in the Gloucestershire section of the Places of Worship Database. This was last updated on 7 Feb 2019 at 07:45.